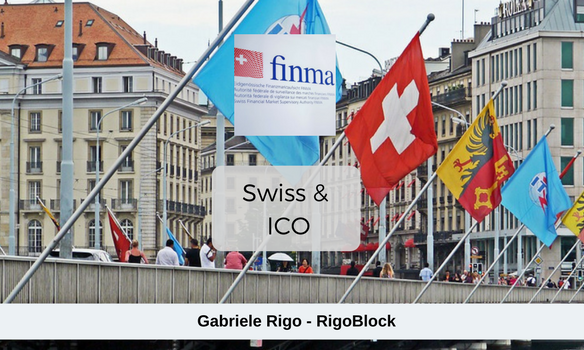 Discover how the Swiss Financial Market Supervisory Authority FINMA intends to apply financial market legislation in handling enquiries from ICO organisers. The guidelines address the regulatory treatment of ICO structures, anti-money laundering regulation and securities law. FINMA held a roundtable on ICO best practices. We attended the event in order to participated in the discussion directly. The feedback from our side is very positive in general, with FINMA taking a pro-active role and proving themselves as one of the best regulatory bodies in the world. FINMA is the Swiss supervisory body, the entity which is delegated responsibility for monitoring financial markets and intermediaries activities. They created a fintech desk, a specialized task force to dealing with platforms involved in financial innovation and new forms of funding (i.e. crowdsales, ICOs). Therefore, they are able to be very responsive with enquiries. FINMA is taking a proactive and liberal role in monitoring markets, with of course strict application of the law. ICOs are attracting the attention of regulators and governments and Switzerland has been a leader in providing a clear and defines framework and set of rules for conduction crowdsale. Their guidelines are public: FINMA publishes ICO guidelines. Switzerland is the country where the Ethereum ICO took place, and the Swiss supervisory body has always been very active and responsive. It has been made very clear that a token with perspective future utility but no actual utility will be treated as a security, as the prevailing role of the token will be for investment. Presales of tokens which have no use will be treated as securities, and they will be subject to the same rules as if they were shares in a company. So startups will have to make sure they comply with their due-diligence duties. If a token falls under more than one category, it might have to comply to the laws of both, according to what the prevailing role of the token is. For example, if the use of a token as a payment tool is only marginal respect to its utility, it will be treated as utility, therefore benefiting from a total exemption. If, by contrast, the payment role is prevailing or significant then also the AML directive will apply. In general, at least 90% of the token models, but most likely 99% of the ICOs fall under one the regulatory laws. And many fall in the definition of securities, hence are subject to prospectus rules and anti-money-laundering procedures. Payment tokens fall under the AML directive, hence strict AML procedures must be applied and more importantly, ICO promoters of payment tokens should be indirectly regulated through an SRO (Self-Regulatory-Organization, they supervise on smaller financial intermediaries on behalf of FINMA) in Switerland. ICO promoters can bypass the AML directive only if they raise the fund through a Swiss-regulated financial intermediary which performs AML procedures and keeps custody of the funds until the ICO is concluded. The FINMA representatives stressed multiple times that FINMA is technology agnostic and has to make sure that ICO promoters are compliant and insure the stability of the financial system and the interests of the investors. If a token is purchased with the scope of a financial return or the utility does not prevail at the moment of issuance, it will be treated as a security, and ICO promoters will have to comply to prospectus publications and such tokens will have to be treated as securities and, according to the type of promotion or activity on the token, will be subject to the different laws on financial markets. FINMA has committed to replying to all enquiries within a reasonable timeframe (4 to 6 weeks according to the complexity of the case). ICO promoters will be asked to fulfill the law requirements and fix any issues arising from the status of their ICO. We hope you'll find this article useful for evaluating the different token models as well. founder of RigoBlock, the decentralized hedge fund platform. Blockchain and cryptocurrencies enthusiast, former head of investment at international asset manager and treasurer at global hedge fund. MSc Finance from Bocconi & HSG.